For me, this is a critical element of being a writer and it’s one of the most rewarding aspects of a profession that tends to be pretty solitary. Sure, it’s great to have a wide circle of friends, but no one understands what you’re going through better than another author, especially an Indie author. They can advise you on everything from tradecraft, to marketing, to finding the best coffee shop to work from — if you’re the type that wants to get out of your home office sometimes. They offer moral support as you dredge through the endless drudgery involved in the post-writing processes of editing, formatting, and promoting your book. They have contacts to cover designers, editors, places for your next reading, and reader groups. They’re great Beta readers for your work. And, maybe most importantly, they should help spread the word about your book by offering reviews, sharing your links, and recommending your book on places like Goodreads. and, finally, a few author networks such as Brain to Books, which recently hosted its 3rd annual CyCon to connect authors with readers. I also belong to a group of writers assembled by Carol P. Roman, co-author of Navigating Indieworld, who shepherds a bunch of writers through the process and sets up opportunities for promotions. The rise of Indie publishing brought a whole host of bottom feeders who’ll take your money, promise you they’ll make you a bestseller, then disappear after making some half-hearted efforts. I’ve heard a number of horror stories from Indie authors who spent their life savings to get their book published or promoted. Most of these businesses won’t do anything you can’t do better, cheaper, and faster, despite their promises of instant riches. With a very few exceptions, you should never pay to have your book published. KDP (Kindle) will help you create and market your ebook for free. They’ve branched out into print books, but I’m hearing mixed reviews of that product. Createspace (also from Amazon) is the recognized source for paperback books. They’re print-on-demand, so there’s no upfront cost to authors. And, filling out the free options, Audiobooks come from ACX (also an Amazon company) where you can either narrate your own book, use your own voice performer, or hire on approved by ACX (or others from the list) by paying them upfront or offering a 50/50 split of the profits from the audio sales. Promotion is gonna cost you, but be careful who you pay to promote your books and assess whether you’re ready for promotion. Often, a single book doesn’t warrant much of a promotional expense. Wait until you have 3 or more books before you go all out on promotions. In the meantime, give away a bunch of books (both ebooks and print) to generate reviews, which should be the focus of a single book Indie author. A star basketball player doesn’t just wake up one morning and decide he’s worth $1 million to an NBA team. He spends years practicing and learning from coaches. Writing is like basketball or any other skill and you hone that skill through practice. I had a writing professor, a published author, say that you have to throw away about 100,000 words before you produce anything worth the cost of paper. Now, I don’t know if I believe that, but it makes sense that you have to practice a lot before you’re any good at it. As and Indie author, that’s even more important because you don’t have the benefit of professional editors who can help you identify plot holes, etc. Unlike the rising basketball star, however, you don’t have to practice for hours every day. Another professor recommended setting aside 1/2 hour every day to write. I think everyone has that small amount of time available. I find it helps to have a specific time and place that’s devoted to writing. Often, we’re our own worst critics and we let that negativity stop us from writing. Stephen King through away the first draft of Carrie and it was his wife who retrieved if from the trash. With her encouragement and recommendations, he turned it into a best seller and a movie. When you work on your half hour a day of writing, don’t worry if it’s not any good, don’t worry about spelling and grammar, don’t worry if it doesn’t appear to advance your plot. Just write. The next day, take a look at what you wrote, decide if any of it is worth saving, then polish it up and put it in your manuscript. BTW, many Indie authors don’t write the book from beginning to end, but write scenes that are later put together to form a cohesive story. I’ve heard more than one Indie author saying that writing is the easy part, editing is what makes a great book. And, I have to agree. I spend about 5-10 times more effort editing than writing in the first place. I also don’t wait until I’ve finished my first draft before beginning the editing process. Once I have a couple of chapters, I’ll go back and edit before moving on. I find this reduces the number of plot holes and character inconsistencies, plus it helps me figure out what should happen next — I tend to write sequentially, rather than scene by scene. Despite having edited a lot during the writing process, I generally do at least 2 full edits (with track changes on) before submitting the manuscript to Beta readers. Then, I make 3 or 4 editing passes after I get feedback from Beta readers. Finally, I do a complete edit after the book is formatted and a spot edit after it is uploaded to KDP or Createspace. So, things are moving at a brisk pace. In addition to attending the Brain to Books Cyber Convention last week, we have lots of exciting things going on. 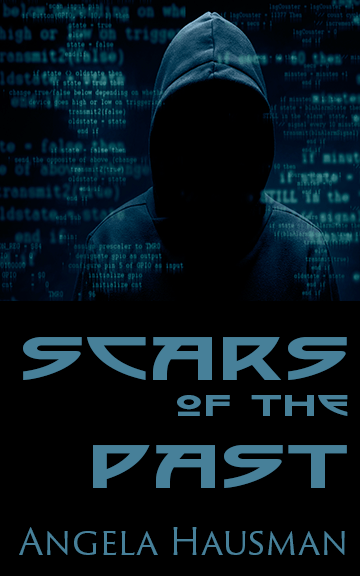 I’m finishing up Book 2, Scars of the Past. You’ll get to see many of your old friends from Book 1 and some quirky (and sinister) new ones. I’d love to get more Beta readers for this book, which should be ready by the end of February for comments. Sign up here. If you’ve already purchased (or received a gifted copy) Buried Ladies, please consider writing an honest review (use the link below). And, if you didn’t like it, please send me specific comments so I can improve the next book. If you don’t have a copy yet, enter get it on Amazon (FREE on Kindle Unlimited, $2.99 Kindle, $9.99 paperback).